A Good Hair Day All Day, Every Day! 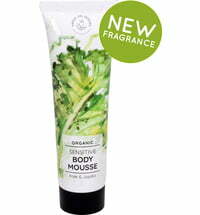 The pleasantly fresh Leave-In Conditioner contains cucumber that smooths the hair and delivers a boost in moisture. 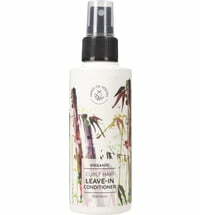 In doing so, the formula counteracts hair breakage and prevents split ends. Plant proteins improve the structure of the hair and boost shine while organic ferments ensure that the strands are well cared for. 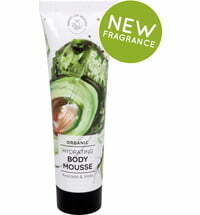 Cucumber seed oil smooths the surface of the hair and tames the strands. A blend of orange blossoms and litsea delight the senses. 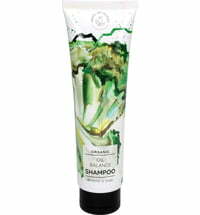 Application: Apply to towel-dried hair after shampooing or as a refreshing spray on the dry hair. No-rinse formula! Aqua*, Chamomilla Recutita Flower Water*/**, Citrus Aurantium Amara Flower Distillate*/**, Lactobacillus Ferment*, Polyglyceryl-10 Laurate*, Lactobacillus & Cocos Nucifera Fruit Extract*, Cucumis Sativus Seed Oil*/**, Hydrolyzed Wheat Protein*, Hydrolyzed Lemon Protein*, Lactobacillus/Arundinaria Gigantea Leaf Ferment Filtrate*, Hydrolyzed Carrot Protein*, Leuconostoc/Radish Root Ferment Filtrate*, Hydrolyzed Kale Protein*, Parfum (Essential Oils)*/**, Citric Acid, Limonene***, Citronellol***, Linalool***, Geraniol***, Citral***.